Matson container vessel Daniel K. Inouye. 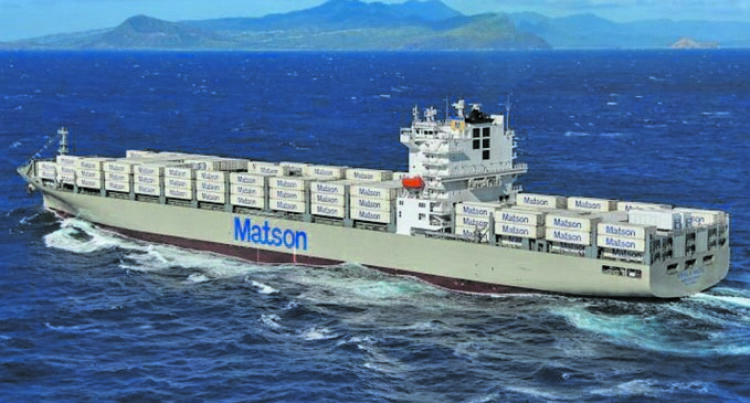 Matson Shipping has recently announced its newly upgraded service to Christmas Island. According to Matson Shipping Customer Service Team Leader Shigufa Ali the upgraded service to Christmas Island is part of Matson’s interest in grasping new business opportunities in remote Islands in the Pacific. “We take interest in grasping new business opportunities here in the Pacific,” Ms Shigufa said. “There’s only one other shipping line exporting out of Fiji to Christmas Island which meant there wasn’t much competition in servicing this route,” she said. Ms Ali said Christmas Island geographical location has been a huge barrier for shipping companies taking shipments in these routes and Matson will see to support the island get the services they need. “Regular arrivals of Matson ships will help support the needs of this island community and their efforts to improve quality of life. “Improving the quality of life on Christmas Island originates more exports for the Fijian economy. “The new Christmas Island service is an extension of Matson’s South Pacific Express service that connects the carrier’s north Pacific network serving Hawaii, Alaska and Guam from four ports on the U.S. West Coast and its New Zealand based network serving islands of the South Pacific. “Matson serves many similar small islands across the Pacific and we take seriously our role as a lifeline to these communities. The new service will deliver cargo originating from the U.S. mainland, Hawaii, Fiji, New Zealand, Australia, and the South Pacific to Christmas Island every two months. Matson Shipping Vessel Olomana and Samoana will service the Christmas Island route. The first voyage that departed Honolulu was the Samoana 106W on September 25, 2018.